Today was our last day on the slopes! We started it off with a red run, my third time now(!) but Nic’s first, he did great! We both loved it. The heavens then opened and we had so much snow! After lunch Tom taught me how to ski, I got the hang of the basics as he was a good teacher and together with Mel we went down the blue run with me on skis! This holiday has been fantastic, a real test of my ballsiness but it’s been so much fun!! Babies first snow holiday has been a complete success! 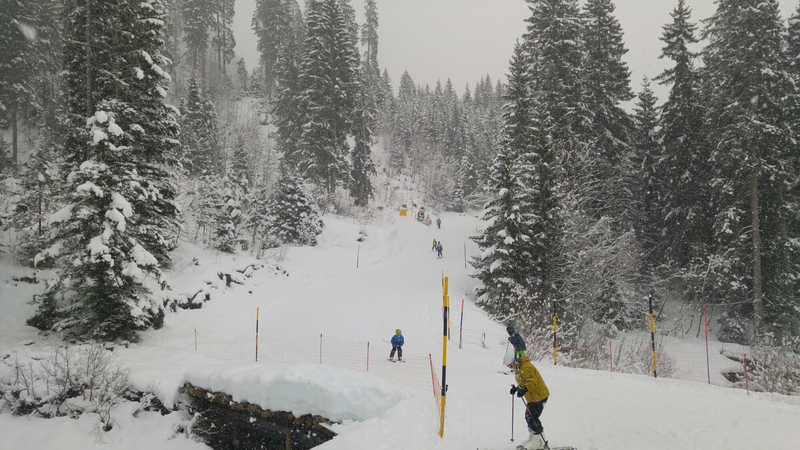 03/01/16 – Snowboarding my first Red Run! 05/01/16 – End to a great snowy week!